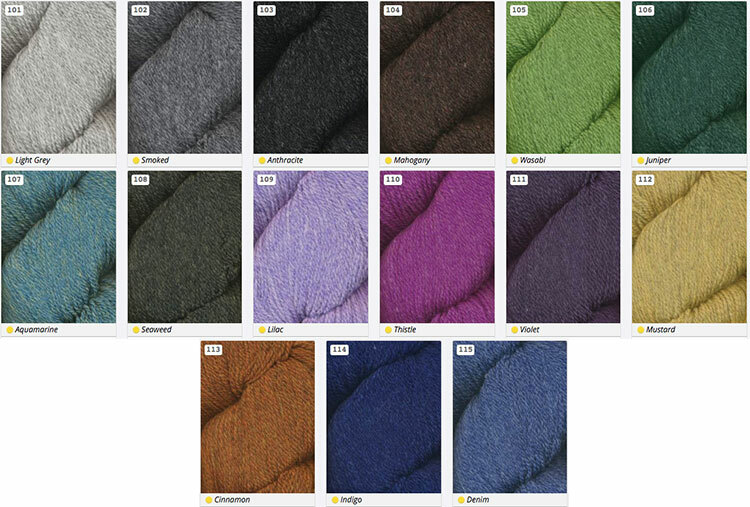 Patagonia Organic Merino from Juniper Moon Farm is a beautiful, soft, machine washable 2 ply wool. The extensive color palate with heathered colors provides a great selection for all of your designs. Patagonia Orgnaic Merino is especially great for projects requiring definition such as colorwork and textured stitches. Sensitivity to chemicals is virtually eliminated as Patagonia Organic Merino is 100% organic! 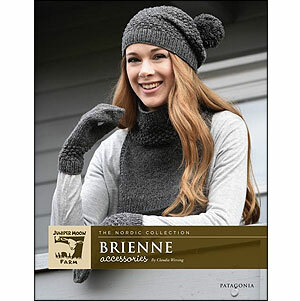 Gauge: 5.25-6 sts = 1"
The Brienne leaflet from Juniper Moon Farms features accessoreis knit with Patagonia Organic Merino!